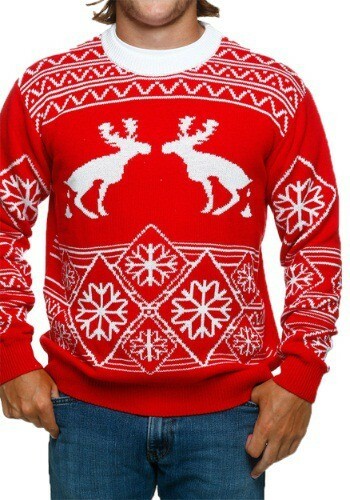 When you gotta go, you gotta go, and this Pooping Moose Ugly Christmas Sweater captures the hilarious moment in festive cheer. Do you ever feel like Christmas cheer has gotten out of control? Sometimes it's just a bit too much, so you gotta counteract all that festive fun with a hilarious look like this Pooping Moose Ugly Christmas Sweater! Yep, it's exactly what the title says... two mirrored moose are going to the bathroom, and then there's plenty of lovely winter designs to really make this thing pop. 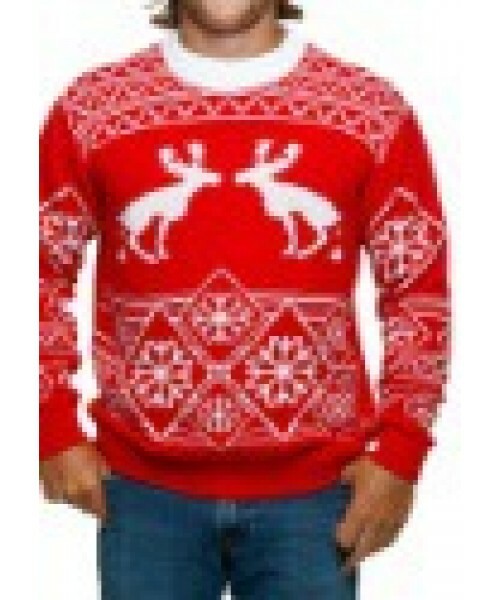 Wear it to your family get together this holiday season and see how long it takes for someone to notice.